I am honored to be here tonight to celebrate a milestone for the Italian language in the United States – its return to the Advanced Placement Program. And I am particularly pleased to be able to mark this important moment together with those who made it possible. More Italian in the USA has been the Italian Embassy’s and the Consulates’ motto since the very beginning of my mission in Washington in October 2009. We believed then, and strongly believe today, that the extraordinary bonds which go hand-in-hand with the political alliance of our two Countries can be further enhanced in the field of Italian language and culture. This is a top priority that comes straight from the highest Authorities of my Country: the President of the Republic, the Prime Minister and the Minister of Foreign Affairs had all underlined, the need to promote the Italian language in the United States. My Government has spared no efforts to support this campaign. Talking about no efforts spared, let me recognize the College Board’s outstanding job. Through the skilled leadership of its President, Governor Gaston Caperton, the College Board proved to be a strong, steadfast partner whose collaboration was – and is – invaluable. Thank-you, Governor Caperton, for your farsightedness and, if I may say so, for your friendship: they were pivotal in the realization of this project. I’d also like to praise Governor Caperton’s staff and single out, in particular, the work of Trevor Packer and Mark Cavone. My deep gratitude goes to the Conference of the Presidents of the Major Italian American Organizations, to the Italian-American organizations and to those Italian companies which contributed to our campaign. Let me say grazie to all those who daily teach and disseminate our language in American schools: the Italian principals in the United States, the teachers, the local non profit organizations and, naturally, the students. Last November 10th agreement in New York bears their signature too. It was the dawn of the 14th century, when a Florentine man of letters embodied, in his immense culture and vision, the eclecticism and confidence in the future of Man – values that would have later inspired and shaped Humanism and the Renaissance. This poet wrote, in Latin, a short “scientific treatise” to prove what, according to him, were the distinctive features of languages spoken in Italy and in Europe at that time. The first quality regarded, we would say today, the social function of communication. Languages derive from cultural roots which may be very broad and ancient, but they take foot and evolve continually thanks to a number of different elements, artistic genres, and different channels and patterns of communication. He also noted that the traits of a language, however much they may evolve, must respond to specific criteria, both in their structure (grammar, in the first place), and in their national and regional dimensions. The man of whom I speak is Dante Alighieri, and the unfinished work is the “De Vulgari Eloquentia”. In his days, Italy had fourteen “vulgar” languages, that is to say, dialects commonly used in different areas of the peninsula, which all derived from Latin. Langues d’Oc and Langues d’Oeil shared the same roots, as did their dialects north and west of the Alps. Dante’s comparison between the different vernaculars led him to conclude that the dialect of his native Florence possessed the characteristics, vitality, structure and flexibility necessary to become a great national language – that is, the Italian one. I have lingered upon the Supreme Poet’s ideas not merely to recall that this literary giant is rightly called the “Father of the Italian language”. I have mentioned him because through his farsighted and modern proposal he reached out to all Italians at a time when Italy was politically fragmented, and would continue to be so for the next five centuries. The stress test the Florentine language was subjected to in the De Vulgari Eloquentia, be it in its “genetics”, flexibility, potentiality for communication or even in its harmony (Italy is “la terra dove anche il si’ suona” – the land where yes is musical) yielded astounding, unique results, with a long-lasting legacy. Many scholars have noted how 14th century Florentine, unlike other “vulgar” languages of the time, is perfectly comprehensible in this day and age. The poetry of Dante, Petrarca, Cavalcanti and others is musical, moving and evocative and, most significantly, can be appreciated by all those who know our language today. Very few, perhaps no other modern language, can boast such a strong combination of tradition and innovation. The Italian of nuclear physicists, doctors, architects and artists is exactly the same language which has been spoken for the last millennium. Can the same be said of other European or Asian languages? While celebrating Italy’s 150th Anniversary this year, we should not forget that the Italian language had such a crucial role, and was such a binding element, in the building of our Country: Italian language was truly the “founding moment of national identity”, and “one of the most ancient and noble cultural forces that have united the country and kept our citizens together and cohesive abroad”, as President Giorgio Napolitano recently said. 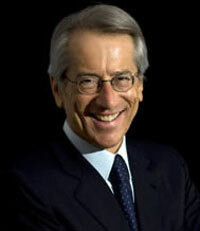 According to Italian scholar Roberto Cartocci, “ethnos”, the people and its tradition, is the characteristic which the identity of a nation is built upon. Another basic component -he said- is “logos”, language, which defines the community. And “logos” played an essential role in “creating Italians” much before the Risorgimento had succeeded in creating Italy, as a Country, in 1861. It helped to overcome divisions between those living in the different States and entities within the peninsula. Even outside our geographical boundaries, as a Romance language Italian was decisive in the development of other European idioms and cultures. Niccolò Machiavelli wrote that no language could express all without having to borrow from other languages. This being the case, Italian must be considered as an exceptional lender towards the rest of the world. The influence of Italian on other languages’ lexicon reached its height between the 11th and the 15th centuries. At that time, Italy was already an important mediator between Europe and Northern Africa, the Arab peninsula, and the Far East, to include the Byzantine Empire. Arabic words entered the Italian language and later migrated into other languages following a phonetic – and at times semantic – re-elaboration. Most of the words I am thinking of are used in the technical and scientific domains – terms such as cipher [from “cifra” in Italian] and the number zero [from “zero” in Italian]. The world of food was greatly influenced by Italian too, especially for what were considered, at that time, as “luxury” goods such as sugar [from “zucchero”] and sorbet [“sorbetto”]. The diffusion of Italian words decreased after the 15th century, but our words and symbols continued to be very much present in many other languages, in particular in fields such as the maritime one, banking, poetry, music and painting. Some examples among thousands? “Banker” and “usurer” [respectively banchiere and usuraio in Italian]; “sonnet” [sonetto], or yet “cappella” and “gusto”, when referring to operas and classical music. Mirroring Italy’s role as a formidable cultural and political mediator, through the centuries our language has developed its unique ability to act as a bridge between the different communities along the Mediterranean’s borders: in particular, with the Arab civilization: many words from Arabic migrated into other European languages through our own. Walt Whitman, author of Leaves of Grass, one of the masterpieces of American literature, said of the United States: “I am big. I contain multitudes.” And herein lies also the greatness of Italian culture and language: It contains multitudes. To bring closer, to integrate, and to join: this is what Italian has done, both as a language and as a culture, throughout the centuries. This, if you will allow me to use a term which is at the center of a debate in the United States – is the exceptionalism of the Italian language, which reflects the history of the greatest cultural and humanistic reality in the world; a country which, according to UNESCO, is home to over half of the world’s artistic and cultural heritage. In modern times, this “bridging” role has gone to the millions of Italians who have moved abroad to all continents. This is particularly true for the Italian and Italian-American community in the United States. President Obama expressly recalled, on the occasion of his March 17th Proclamation for the 150th Anniversary of the Unification of Italy, the Italian community’s extraordinary contribution to this Country. These millions of Italians have followed the same path that ideas and political thought had trodden decades and centuries before them: they crossed the Atlantic and helped to shape the very foundations of the United States. The “unalienable rights” cited in the Declaration of Independence – notably life, liberty, and the pursuit of happiness – find their roots in values such as the Italian Renaissance’s concept of the “centrality of the human being”. Filippo Mazzei and Thomas Jefferson enjoyed a great friendship and exchanged many ideas: the “All men are equal” phrase enshrined in the “Declaration of Independence” is attributed to the Italian philosopher. Gaetano Filangieri and Benjamin Franklin’s long and interesting correspondence wed the former’s dream of a universal constitution with the solid strength of a nascent federal State where freedom and equality could finally be achieved. As for the pursuit of happiness, it’s easy to see how it connects to what today is referred to as the “Italian style”. Just think of opera, or of Italian fashion and cuisine, and of all the words commonly used by Americans – and by the rest of the world, for that matter. Terms which also carry broader concepts, such as the Mediterranean diet and healthy living, which are now priority policies for all governments: words, to put it simply, which lead to winning models. Let us now look at some facts. Between 1998 and 2009, the Modern Language Association tells us that students of Italian in American universities rose by almost 60%, passing the 80,000 threshold. The American Council on the Teaching of Foreign Languages reckons that between 2004 and 2008 high-school students learning Italian went up to 78,000, from a previous 65,000. Last but not least, there are 88,000 people learning Italian through our local non profit organizations. Some other data points: 75 million people in the world are native Italian speakers. On the Internet our language is in the top ten – yet another proof of the modernity and functionality of our language. And this is the linchpin which brings us back to why we are here today. Was it even conceivable that a cultural and linguistic reality of these proportions were not included in the AP Program? It was absolutely not. But we must not rest. The reinstatement of Italian in the AP Program is a big accomplishment in itself, but it is also the beginning of a renewed campaign that began last November, when we signed the agreement with the College Board. A campaign we have continued to work on in recent months to enhance the freshness and appeal of the Italian language in the United States. The Italian Language Observatory was one of our first steps in this direction. It includes representatives of donor organizations, teacher associations, university professors and high-school teachers, and directs all activities pertaining to the dissemination of the Italian language in the United States. Its strategic plan was approved by the College Board, and it works hand-in-hand with our institutes of culture (starting with that of San Francisco); as well as our local non profit organizations; our education directors and university lecturers. Naturally, the Observatory also works closely with structures of excellence such as the “Scuola d’Italia Guglielmo Marconi” in New York. An important part in this new campaign will be played by the many interuniversity agreements between Italian and American institutions, such as that signed by the University of Maryland and the University for Foreigners of Perugia: this will assure a new generation of Italian language teachers. Or again, by the Memoranda of Understanding which exist at a State, County or School District level, such as that between the Consulate General in San Francisco and school authorities in California, for the certification of Italian teachers in that State. Schools in Lombardy and US universities have signed agreements which enable American students to come to Italy as English language assistants whilst learning Italian, and how best to teach it. With these tools, and the many I haven’t mentioned, we can surely be satisfied with what we have already achieved, but we must – as I said – look ahead and strive for much more. The Observatory has just encouraged the creation of a website – www.usspeaksitalian.com – which is taking its first steps on the Internet. I encourage all of you, your children, your family, your friends, to get to the website and to participate pro-actively in this debate. But please, wait a few seconds more, until I have finished! The website is an independent interactive portal which teachers, families and students alike can use to seek information on learning Italian in the United States. Let the US speak Italian. Let us all speak Italian!